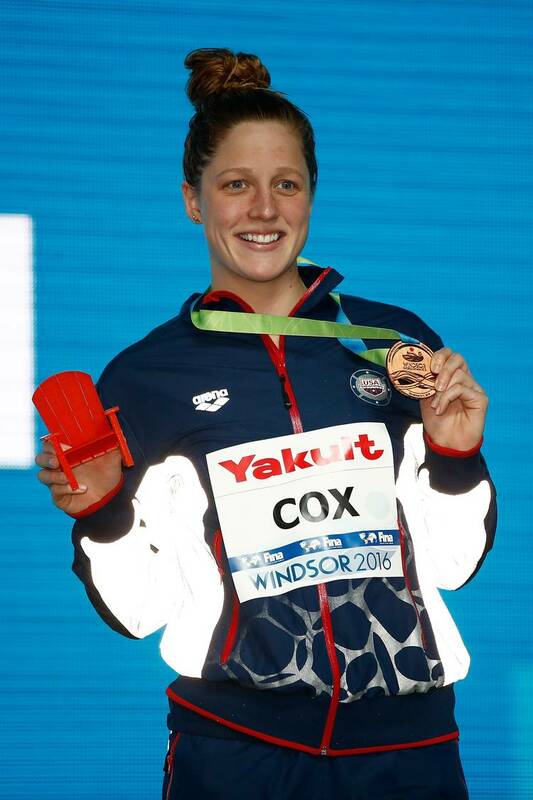 Texas senior Madisyn Cox finished the 400-meter individual medley in 4 minutes, 27.78 seconds to earn a bronze medal at the FINA Short Course World Championships in Windsor, Ontario on Tuesday. The All-American gained her first medal at a senior level international meet after the disqualification of Anh Vien Nguyen of Vietnam. Ella Eastin, another American, took second place while Katinka Hosszu of Hungary earned the gold medal. Cox had qualified eighth in the event before earning her second international medal. She previously took a silver medal in the 200 IM at the 2015 World University Games.